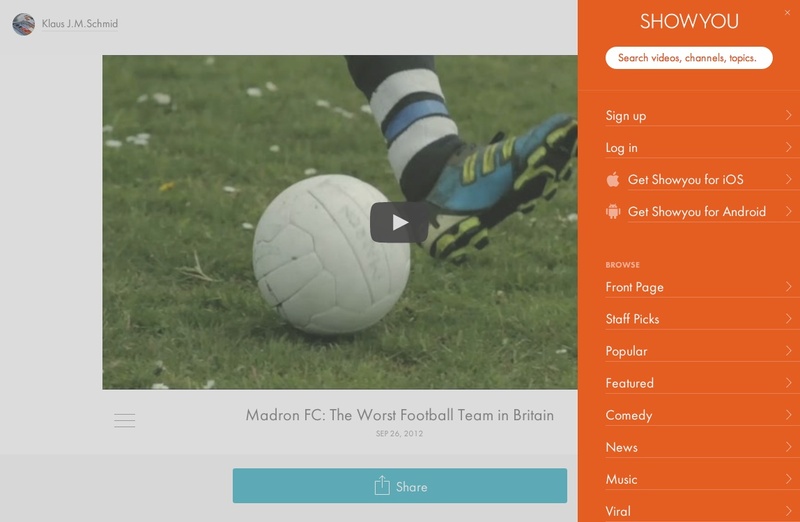 Social video discovery app Showyou relaunched its website Tuesday with a slick, minimal look that comes as a welcome change to its earlier iteration. Showyou also updated its Android (s GGOG) app to achieve feature-parity with the iOS (s AAPL) app, and the service introduced what it calls an interest graph, meant to make it easier to explore Showyou’s video catalog. I had a chance to briefly take a peek at both the Android app and the new website, and was particularly impressed with the latter. 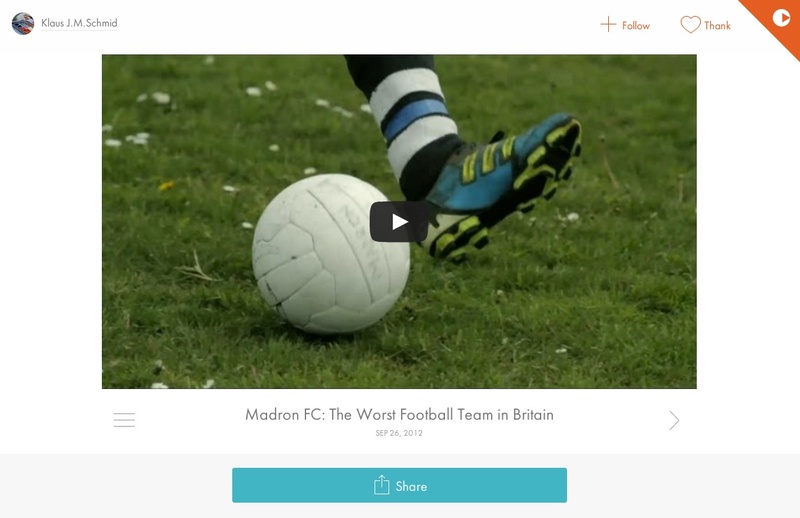 Showyou.com now feaures a very minimal, airy design with a lot of whitespace that puts the videos front and center without the distraction of too many options and teasers. The site borrowed a few hints from modern app design, featuring a navigation sidebar that can be hidden and expanded at any time, and collections of videos (topics, categories or the front page) feature a card-like design that’s reminiscent of some of Google’s better-looking web and app UIs. There are still some inconsistencies, but overall, Showyou.com looks pretty hot. The same unfortunately can’t be said of the Android app, which adopted the same dark and crowded UI as the iOS and the web app its meant to replace. The whole thing just looks too cluttered, and it makes you wish Remixation, the company behind Showyou, had taken the design approach it unveiled on the web to all of its platforms. 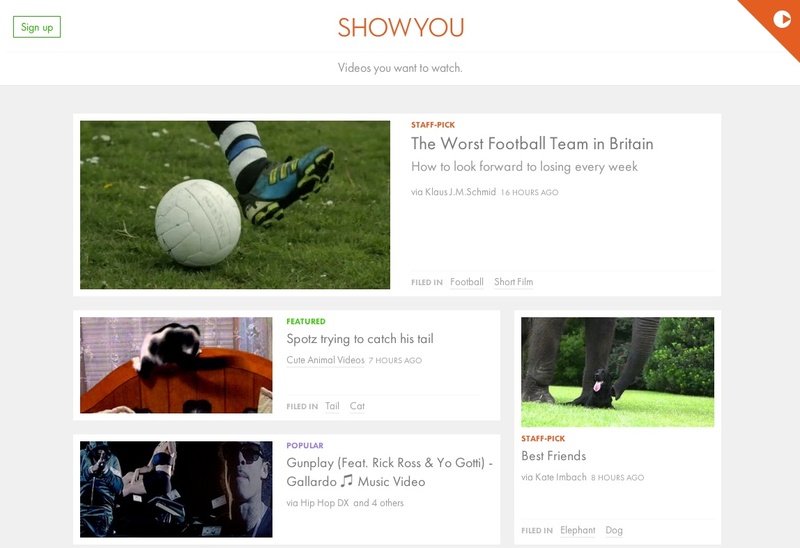 Finally, Showyou is adding what it calls an interest graph, which means that the service has organized around 30 percent of the videos it indexes into topics. Users can subscribe and follow topics, and Showyou plans to use this data to fine-tune a user’s feed as well. 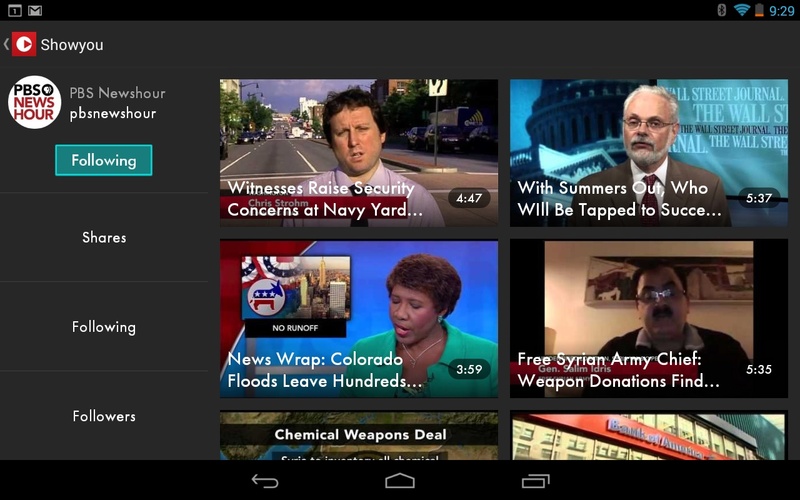 Showyou is one of a number of apps that tries to help people to discover videos on YouTube and beyond. Most recently, the service tried to differentiate itself from the competition by offering publishers a way to host their own channels on Showyou.